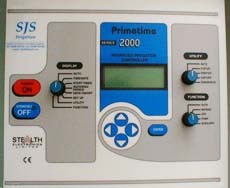 The SJS PRIMETIME Irrigation controller has the latest features and performance with reliability, durability ease of use and cost effective as its foremost features. A three wire system wall mounted standalone Controller with a WELL PROVEN track record. CE approved. Manufactured and supported in the UK. 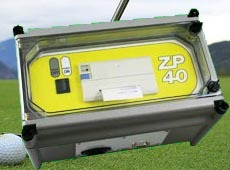 Optional Remote Radio Control, which saves time on not opening valve boxes when manual watering and testing sprinklers . Printer output as standard. Rotary switches on the controller for ease of use. Bright easy to read 64-character LCD display allows for quick Adjustments. 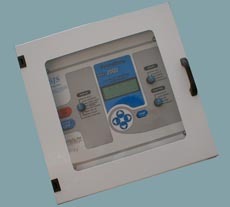 Controller is housed in an IP65 Rating enclosure. Stealth Electronics Ltd offer 2 years return to factory guarantee on the Controllers and the decoders. Internal memories retain settings for up to 5 years. Thus no losing of program settings during the winter period. Program allows 1 to 4 zones of operation. Ten start times with 10 different program settings. Each decoder is set to its individual name. Logging of AUTO errors. Programmable via a protected membrane covered bit switch. Each decoder is fitted with a manual override switch to allow for running the solenoid valve via the decoder. 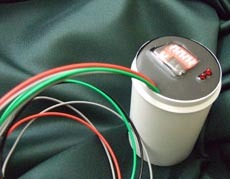 An LED displays the output status of the decode colour coded wires. Fully Resin sealed with lightning protection. 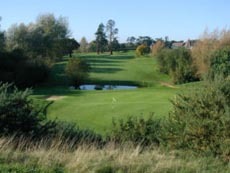 Since being established by Mr. Stuart Sanders in 1990, SJS Irrigation over these years has maintained an excellent reputation in all aspects of Irrigation. 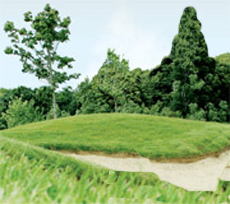 SJS Irrigation specialises in Automatic Irrigation System Design, PC Controllers, Installation, Service Maintenance and suppliers of all irrigation equipment, for large organisations or for the individual client. 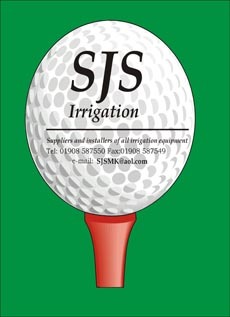 SJS Irrigation have always prided ourselves on personal service enabling all of our clients the best competitive price and service available, at an exceptionally high level. SJS Irrigation are full members of the BTLIA (British Turf & Landscape Irrigation Associtaion), to which we have been awarded "Certificate of Merit" Award on numerous years. SJS Irrigation are also CHAS accredited, (Contractors Health & Safety Assessment Scheme), so you can rest assured that all Health & Safety guidelines and regulations are maintained also with online Health and Safety Management System - AssessNET. SJS Irrigation do not use sub-contractors, all our staff are long standing employees and are highly trained and experienced in all aspects of irrigation.